any updates about a new version? Do you plan to release a new version this month? Hopefully, but I still didn’t receive the GT Turbo so still no dev box. Hi, do you have any how-to to customize image? You probably have the 512MB version so you need to update the firmware. but how can i update if i cant boot? might sound stupid…. but how do i do that? and why i ask is that i’m new to raspi and ave always just just used the “official” images from raspi found. i do have an card reader so i can update while running….. the big Q is just how? do i just need to copy these 3 files from the rasperian image? To update the firmware you need to copy *start.elf, bootcode.bin and loader.bin. Can I install XBMC and Transmission torrent client to this minimal OS? Yes, without this upgrades it won’t here boot. Entered in boot directory, found there “start.elf” and “bootcode.bin” files. Downloaded them and copied over the older files that were in the image on the SD-card (in the smaller partition IIRC). Didn’t find “loader.bin” there so I assumed there’s no need for updating. After all this now R-Pi boots. Thanks to *jors* for the tips on rpi-update and raspi-config! didn’t work here, complains about not trusted key and unknown issuer. But after I installed Synaptic it got the package without complains. Evidently some of the packages that come with Synaptic helped. darkbasic: Could you tell me where can I find the tools you used for the image? Actually, I need a newer minimal image, in the following days. Thanks. Which tools? I didn’t use anything special except from qemu (www.qemu.org). Do you have details of the changes made or links to references? Looking for comments on USB audio devices used, actually used, successfully with this build, especially with arecord, darkice, etc..
Not looking for URL’s to lists of “alleged” supported devices… Looking for users who have tested and can confirm device(s) work. If you used this or other USB audio devices succesfully, please post device, and a link to the source. It didn’t work on my freshly booted R-Pi because of complains of untrusted key. BEFORE the other commands all is OK. Please be patient, I’m quite busy and it may take a few days. Is there a way to simply upgrade to this new version? I mean, without using dd? You can use apt to upgrade you current image and then copy the firmwares, the userspace drivers and the kernel modules from the new image. This will work out of the box with the 512MB Raspberry Pi right? I can now confirm that it works perfectly out of the box with the 512MB version! thanks for the image, finally a minimal distro for Raspberry. Could any of you guys tell me which packages I’m missing? Thanks! Let me know, I will release a new image if it works. Thanks a bunch it works. No more issues and the demos start. One thing though: I’m missing a mouse cursor. Is there anything else that needs to be installed in order to have mouse support? Thanks. Much obliged, you made my day! Regarding the mouse issue: are you running it as root? Are you running it from X11 or the console? I am running as root. 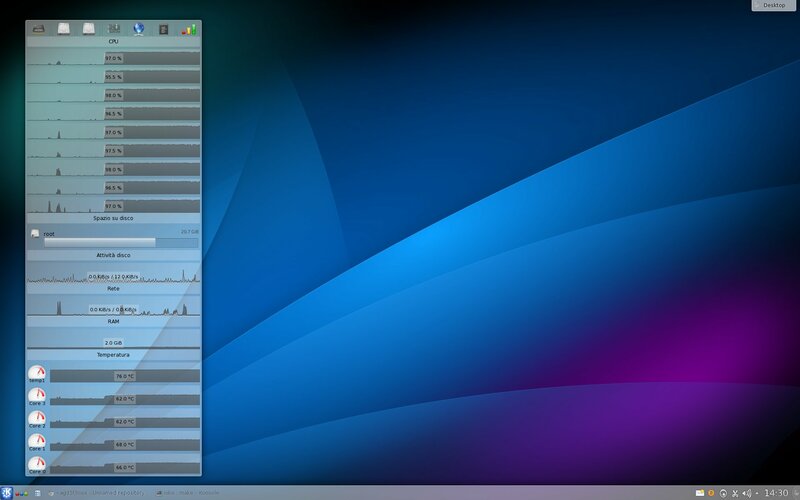 JavaFX runs without X, it controls the frame buffer directly. When I ran the demos from the standard Raspbian Wheezy the mouse cursor worked. I meant in the demos, sorry for not being specific. I will try installing gpm. Hey, this image does not work for me. after that nothing happens. Any Ideas? I Already tried to update the firmware but it did not help. I don’t use the ethernet port, the pi is connected to my pc via a serial to usb cable. – Fixed an issue when booting without network. – Fixed an issue with vc libs. – Added mouse input in console. Just a heads up: mouse workes inside the demos after installing gpm. The link at the top of the page still points to the previous version, just the name got updated! Thanks, but trying to boot it without a network connection still does not work for me. I can’t connect it to the internet (to start it up once and configure it etc.) using an Ethernet cable since we are using a proxy here, which needs to be configured first. I’m sorry but I can’t reproduce your issue: here it just works even without ethernet connection. Are you sure you are using raspbian_wheezy_20130923.img? I did insert a wrong link the first time. I just downloaded the newest version -from the top of this page- (again) and I flashed it using win32diskimager on a 4GB SD Card. I removed all devices (wlan stick) except the Serial to USB Cable. And it still does not proceed any further. It seems to wait for eth0 to be ready? The links inside this comment section are not linked for me. Do i need to have an Account to see them? Argh, Yes that was it! 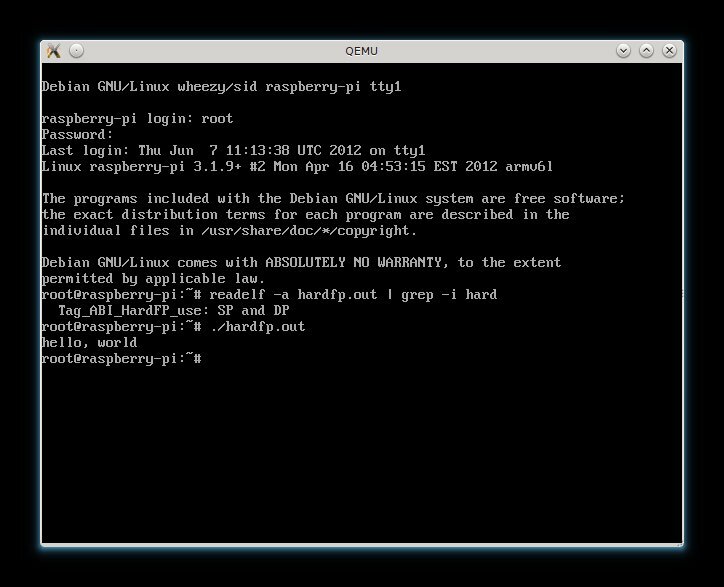 I didn’t think of that, because the default raspbian works via serial out of the box, thanks! I was able to organize a Knoppix Live CD from the IT, then i could edit the inittab file as needed. Thanks! You’re welcome. Next version will have ttyUSB0 in inittab by default. Thanks for your work dark basic. Could you please generate kernel_cutdown.img image for your distro and make it available? Would it be possible to have “CONFIG_BLK_DEV_INITRD” enabled in the kernel? first let me say thanks for your work. Thanks. My aim is to run a Minecraft server, in 0-24h, headless on the Pi with the best possible performance. I only need Java RE to run the server and SSH to remotely log into the console. I already have these: my server is up and running fine headless, but on the official Raspbian image. So I would like to ask you about your thoughts regarding to the hard-float performance: do you think that is possible to squeeze out a little much performance from the Pi using your minimal image compared to the original Raspbian image or it isn’t relevant to me? I have one question, how can I make the I2C bus work with your distro? when I list the devices there seems to be no I2C bus. Look in the boot partition, it is a kernel with much more features and modules enabled in the config. Thank you for making a minimal image! I’ve been using it on my Pi for the last few days. I have a request for the next image you make: Could you add wpa_supplicant by default in the image? I only have WiFi (WPA2) available, so I can’t connect via Ethernet. All the tutorials say to apt-get wpa_supplicant, which is a bit tough for me. Thanks man! Nice image but i’m having issues trying to setup the wifi dongle i got with the pi. If i use current wheezy image, the dongle works but with yours the dhcp never allocates an IP address. Is the any package to download to get it working? I don’t remember: is wireless-tools installed in my image? wireless-tools wasn’t installed and the adapter worked after setting it up. I’m wondering why the /etc/network/interfaces file fails to bring the interface up while this other method does not fail. it was the wpasupplicant package causing the problem. You have to do “apt-get install wpasupplicant” and the edit the /etc/network/interface file and it works right away. Very excited about your minimal image. Thanks for posting it! It all pretty much just came right up. I want to use it as a headless remote backup server with a USB disk drive attached. When I plug in the USB drive nothing happens. I see no message in /var/log/messages. modprobe usb-ohci is not found. I see USB information in the messages file from when the system booted. Does this kernel support usb mass storage? Any hints how to get this working? Great to see a minimal image for a headless RPI server, thank you very much. I have noticed, though that there is no support for USB in the image. Doing an “lsusb” returns a message stating that the command can’t be found. Going to do a bit more poking around to see what can be done to get this working. I am using an external USB HD to run the device from. For an external hard disk you will need a power supply with the raspberry pi. I have installed usbutils. This made no difference. If I plug in a USB stick it come right up and I can access it perfectly. If I plug in a USB hard drive (not a pen drive) then do dmesg or check the log files I see no activity at all. It is as if nothing was attached. The external USB hard drive has its own power supply which for sure is attached. I have tried 2 different USB hard drives this way both with the same results. I verified the USB drives work on another Ubuntu box. Please test your hard drive with an official raspberry pi image, I’m pretty sure it will not work either. Let me know. Thanks! Will do this later tonight and get back with you. I’ve installed the ‘usbutils’ package and the external USB drive is now recognized. Also you might want to consider adding the ‘rpi-update’ package as well. You’ll also need to include the ‘binutils’ package. I don’t know if this is getting away from the minimal image that you wanted to create. Again, great work. Shoot me an email if you want any help with this project. I didn’t install usbutils or rpi-update because I want to keep it as minimal as possible. I forgot to mention in the previous post that you can use ‘fdisk -l’ to see what drives are reconised. Yes! I am glad the install image is so small. 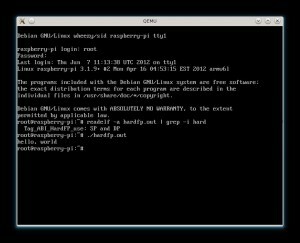 It is easy for users to install usbutils or rpi-update if they need it. I as well normally use fdisk -l to see what drives can be mounted. When I attach my USB disk it does not show in the fdisk -l listing at all. I have not tried rpi-update yet. I can try that a little later today as well. After trying another install image with similar results as you guessed – I finally swapped out my usb cable – nope that isn’t it and then my power supply and whaddya know – that worked! I had grabbed a 5V supply from my junk box and the usb drive needed a 12V supply. Thanks so much for your time and comments. Hey – using this image now to install rPlay so that I can do AirPlay mirroring from my Mac to my pi! Just wondering if you wanted a couple of mirrors for your images? Mirrors are welcome of course. They aren’t mandatory anymore like in the first days when traffic touched 1TB in less than two months but it’s always good as backup. Why 7zip? I hate having to install 7zip! Why not just a standard tar or zip? Hi, first, thank you for this images. You have to run “apt-get update” before. @darkbasic…thanks, that worked. Much appreciated. I trying now to get wireless setup. Please let us know when you’ll be able to have a new image out with wireless on by default. Any idea what packages/drivers are needed to this image to detect and enable the raspberry pi board camera? got it working on a pi ‘A type’, only some problems with wlan, my edimax ew-7811Un is not recognized (pretty standard stick). So, I wanted to install lsusb and iwconfig. Am I missing a repository or something? You have to install usbutils and wireless-tools as said previously in the comments. Hi darkbasic, where I can download the source code? Sorry I refered to the source of the kernel image. Sorry I refer to the source of the kernel image.